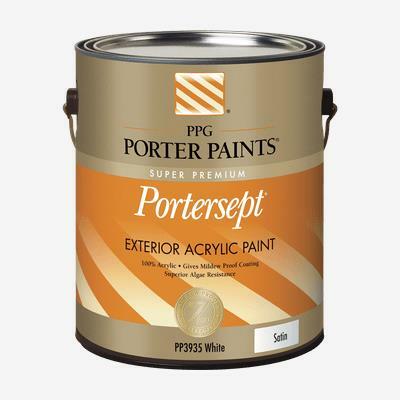 PORTERSEPT® Exterior Latex contains agents which inhibit the growth of mold, mildew and algae on the surface of the paint film. Ideal for use on properly prepared exterior wood, brick, masonry, concrete, weathered aluminum, weathered vinyl siding, and primed metal substrates. Vinyl siding and similar plastic composites should not be painted with a color darker than the original color. Painting vinyl siding or plastic composites with a darker color may cause them to warp. *This paint contains agents which inhibit the growth of mildew and algae on the surface of the paint film. See product label for details.